Epic tv which is famous for their Mythological Tv shows . Now Epic tv experimenting 'Khwaabon Ka Safar with Mahesh Bhatt' to grow his channel TRP. 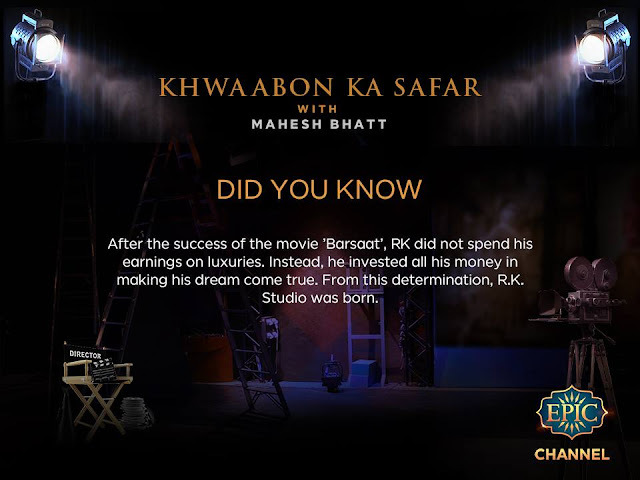 'Khwaabon Ka Safar with Mahesh Bhatt' , to be aired on The EPIC Channel, aims to take the audience through the evolution of the landmark film studios and the tremendous struggle and grit that each of the founders displayed even when faced with adversity. On 'Khwaabon Ka Safar' Mahesh Bhatt takes us down the memory lane and introduces us to fascinating tales behind some of the biggest studios of the film industry. This is a show that will inspire, create wonder, intrigue and enthrall today’s audiences. Each episode will pay a fitting tribute and provide in-depth research and insights from some of the stalwarts of the film industry. 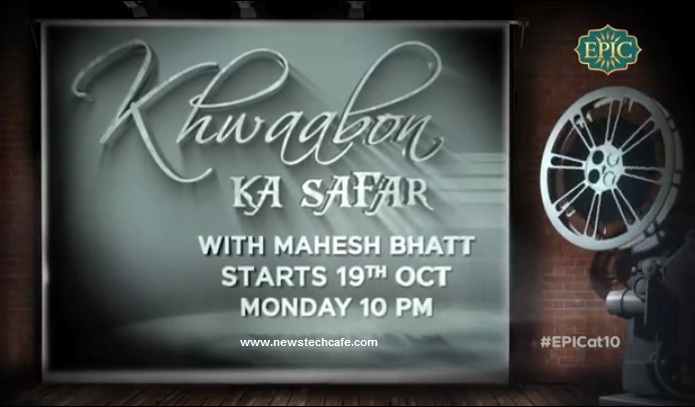 Mahesh Bhatt is set to explore personalities behind Hindi film studios like Bombay Talkies and RK studio etc.